Prevents dorsal drift or floating toes by splinting the toes in a neutral or plantarflexed position. 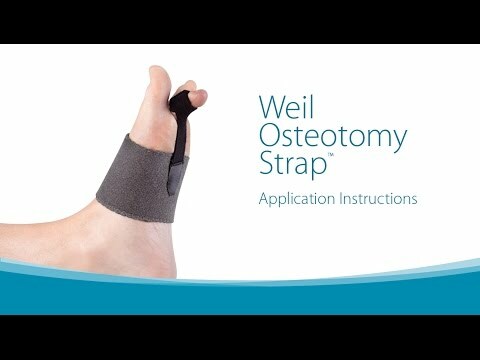 The Weil Osteotomy Strap helps prevent dorsal drift and floating toes by splinting the toe in a neutral or plantar-flexed position. Can be worn in a walking boot, post-op shoe, or normal footwear and may also be used non-operatively to treat metatarsalgia or plantar plate tears.